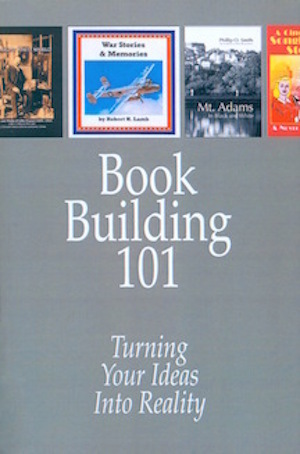 Please call our office to receive your Free copy of Book Building 101. Have you ever wanted to write your own book before but do not know where to start? Book Building 101:Turning Your Ideas Into Reality will help guide you through the process of writing and publishing your own book. It also gives you information on some of the previous book projects that we have had and how we have handled each book project different based on customer needs and wants.